A dearth of publicity or a disconnect with readership has functionally hidden the fact that American private and public space explorers will journey to the moon again around the year 2018. Vehicles for landing on the moon were completed back in 2013 in the Google LunarX Prize contest, with the contest producing still more landers. A single loop around the Moon is scheduled by NASA for September 30, 2018, but private companies may beat that mark and space agencies in China, India, Russia, and the EU might be able to do the same. NASA is not completing its mission to the Moon alone, but with major contributions of manpower, manufacturing, and spacecraft provided by private aerospace companies, along with partnerships with EU and other countries. Japan's agency (JAXA) has partnered with NASA on many projects and already has joined with us to patrol the skies and clean up space litter beginning no later than 2019. From 1990 - 1994, I studied Preventive Medicine that included Space Medicine and found it intriguing. Today, we can see all our predictions on Life and Work in Space coming true. This is a giant accomplishment in only two decades of work by aerospace companies, space agencies, and research organizations. After all, credible air flight began only in 1903. We landed on the moon for the first time 66 years later. At 112 years later, we are nearly on Mars. Startling many people to hear such a notion, Ohio itself is home to over 1,200 such aerospace companies, as well as Wright Patterson Air Force Base, NASA's Glenn center in Cleveland (working on teleportation and breaking the speed of light), universities with Space Medicine departments, and many additional elements helpful to future moon landings and excavations. If Columbus, Ohio's Jeffrey Manufacturing Company (1876 - 2011) were still in the manufacturing business of mining, highway, and related machinery, then it would be involved as a member of the NASA Commercial Crew, specializing in asteroid mining between Earth and Jupiter, and in He-3 mining on the moon. for over a hundred years, it produced everything from bicycles to mining machines, to vehicles used in WWI and WWII. NASA's Commercial Crew and independent research teams from global companies and American universities had, in mid-2015, already built lunar landers for our return to the moon. In fact, during the Google LunarX Prize contest, several landers were ready in 2013, before the December 31, 2015 deadline. If Jeffrey Manufacturing Company were still in business, it would be a member of the NASA Commercial Crew, specializing in asteroid mining and He-3 mining machinery. For a riveting version of an American Mission to Mars, see Matt Damon in the November 2015 release of the film "The Martian." He plays a genius who figures out how to colonize the planet by himself - at least for a while. This is the book on which Matt Damon's film version is based. The story will keep you awake at night, as if you are side-by-side with the astronaut as he determines how to make Mars livable in light of sand storms and the unknown. Planetary Resources is a premier asteroid mining operation actively working in this field since 2012. Operated by former or current Google leaders, James Cameron, Sir Richard Branson, and others, the company have been planning for a few years to build such a lunar station or base of operations. It would be used as a launch site for asteroid mining spacecraft to the far side of Mars in the near future, and for water extraction from those asteroids as well as extraction of iron and water from asteroids between the moon and Mars. Another asteroid mining company is Deep Space Industries, which operates with a Star Trek® like theme. They also have plans for building mining related habitats. Two newer companies headed for Luna and Mars are Moon Express and SpaceIL. Water - Water is frozen in parts of the Moon and in some asteroids. He-3 - For use in creating nuclear power. Space Based Solar Power - No cloud cover or rainy days. Helium-3 (He3) is gas that has the potential to be used as a fuel in future nuclear fusion power plants. There is very little helium-3 available on the Earth. However, there are thought to be significant supplies on the Moon. Privately held companies have built their own modules for outer space habitats. 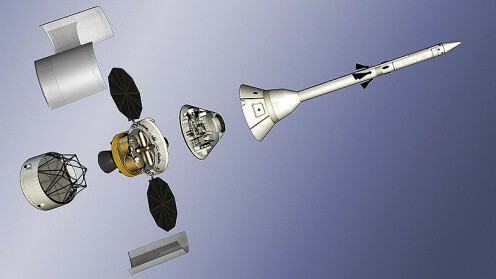 In addition, modules for Moon and Mars stations are in development around the world. China and India both want the resources available there and to plant colonies of settlers. Five primary landing spots on Mars have been determined thus far and reported in Forbes Magazine. Aerospace related job creation took an swing upwards in 2014 and the end of that trend is not in sight. In the near future, many more positions will need to be filled, from engineers and technicians to builders and miners, agriculturalists, and support crew. Healthcare professionals are needed in space as well. We do not yet know what newly imagined jobs will open. Author Homer Hickam, a former NASA engineer featured in the film October Sky and the book rocket Boys wrote about the upcoming push towards He-3 mining several years ago in Back to the Moon. Dan Brown (The DaVinci Code)wrote about this as well in Deception Point, way back in 2001. In Brown's novel, not only are we mining He - 3, but others are trying to steal it from us. Few Americans know that a 3D Printer space habitat building contest was under way in 2015. 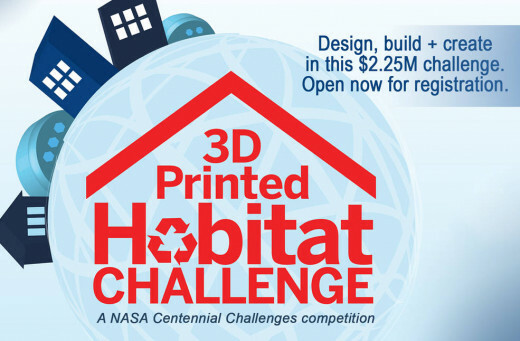 The 3-D Printed Habitat Challenge is a part of the ongoing series of NASA challenges and this one pays out $2.25 Million. It's all about sustainable housing on earth as well as on Luna and Mars - perhaps even on large asteroids. At the end of September 2015, the first part (Design) in this challenge will end with 30 semifinalists chosen and an overall winner of $50,000 at the 2015 World Maker Faire in New York State. The second half of the competition deals in two parts that together will result in real, sustainable housing to be used on Mars. each of the two parts offers a $1.1 Million prize. A possibility of cooperation exists between USA and Russia in building a new International Space Station after funding runs out on the present station in 2024. 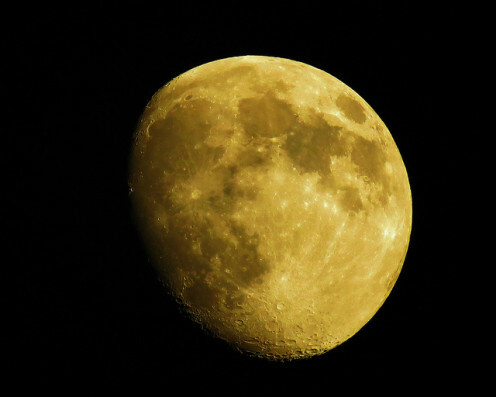 However, bigger news is that Russia and China seem to be partnering to build a scientific research station on the Moon. Both countries have the capability to do so. The EU announced in May 2015 that they would like to establish an International Moon Station themselves. Meanwhile, Rice University Students (Popular Science, 4/28/2015) completed designs and construction of light flexible space furniture for habitats "out there", under a commission from NASA. Bigelow Aerospace in America has an inflatable habitat in which we might place the furniture. The company is attaching an expanding habitat onto the ISS in September 2015 for two years in order to test its durability. This may show that space stations on moons and planets might easily be modular. Many interests intent on settling the Moon are gathering, so NASA says to keep their hands off NASA's stuff. NASA leaders and the medical community largely agree that human health is the number one concern on such a space station, according to my studies in Preventive Medicine. This is why Astronaut Scott Kelly and a cosmonaut have begun spending a year at the ISS to examine body system deterioration and related matters. Russians have already spent a year and longer in space, but we do not have that data. In a year, we can compare Scott's health status to his brother astronaut Mark Kelly's health status on the ground. Initiating gravity on the space station may be the answer to end the deterioration. We'll know within a decade of this writing, when the 2013 NASA Astronaut Class will be nearly ready to go to Mars. The exploration mission is the primary goal for the four men and four women on the team. None of this takes into consideration the progress of the Dutch Mission to Mars, in which several people will colonize the planet in 2023 and not return to Earth. However, they must first survive a reality show on Earth. 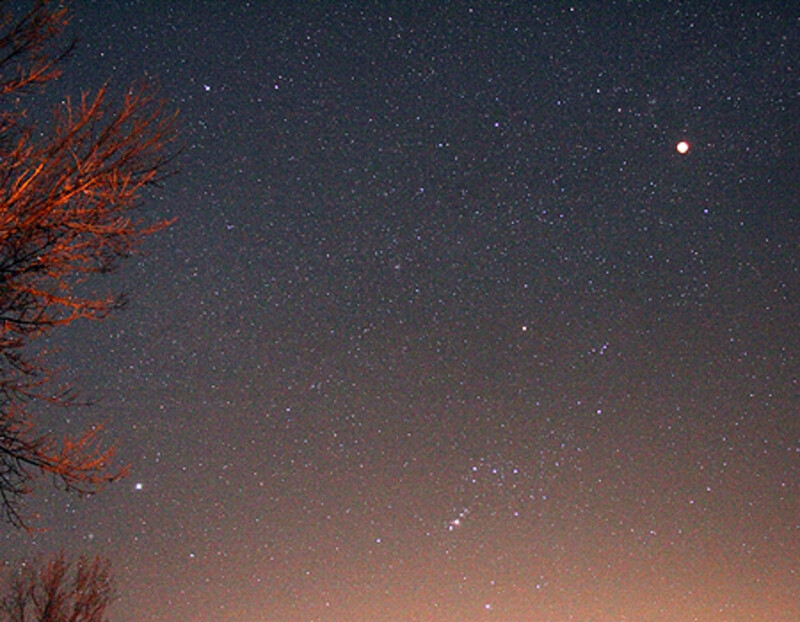 Which one of these space maladies would be the worst for you? Loss of muscle mass, including in the heart. In ability to walk. Loss of bone mass/brittle bones. This also affects the jaw and teeth. The loss of the ability to sleep, perhaps permanently over the long term. Inner ear problems and nausea/vomiting. Swollen face and stuffed - up, blocked nose. No way can I stand a stuffed-up nose! However, none of the conditions above is comfortable or safe. NASA and the medical community at large are working on these issues embedded in life in space. If these conditions can be overcome, we will have also found new treatments for people with similar problems on Earth. Until we find solutions to all of these problems. astronauts and space tourists will suffer some ill health, but the rewards of exploration and mining minerals we need are enticing. @Aliswell - Greetings and welcome to my Hubs! Thanks for your kind compliments - I have had a busy life. 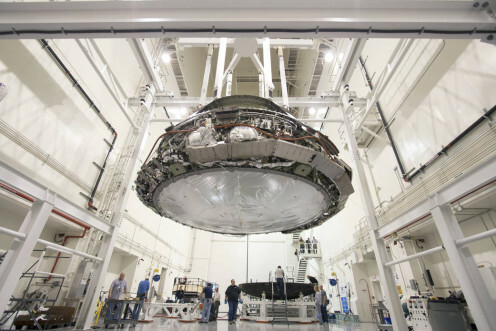 Aerospace projects are filling up the USA and many parts of other countries, but it seems that many articles about them are in specialized publications that many people do not see. Here in Ohio, I am right in the middle of a NASA installation, Wright Patterson AFB, which has always been dedicated to flight and space (way before Roswell), and over 1,200 aerospace companies. Aside from that, 1/4 of the state is an Official Space Corridor for business. Major goals will be met soon, I think and I'll pass them on as I hear about them. Not sure any will be Man On The Moon important! 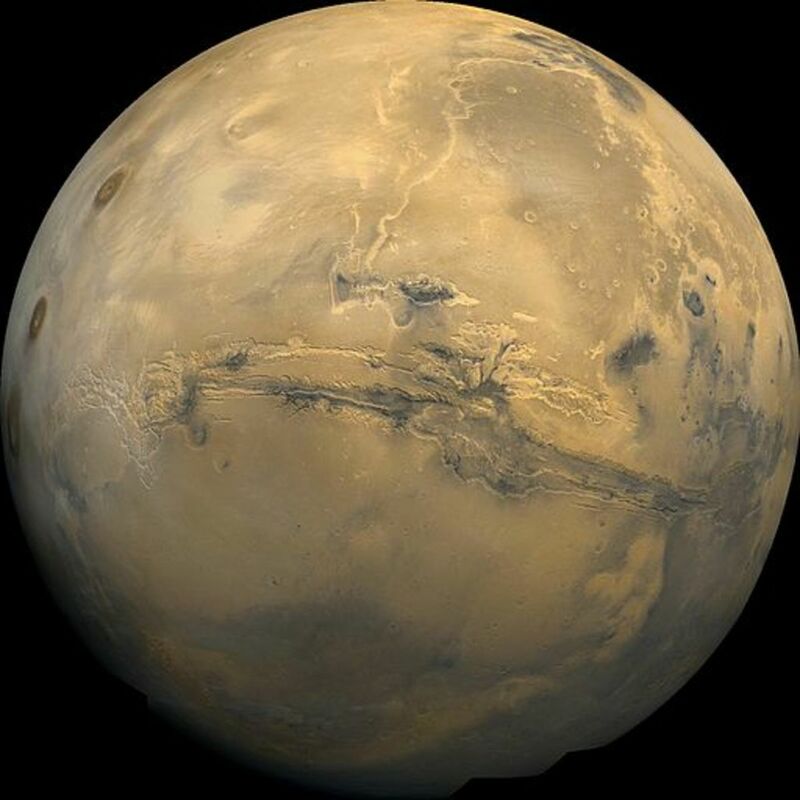 Mars may be farther in the future than we think - or not. A new flight project between Western Ohio agencies and a university in Indiana is promising! Patty, I am new to your Wonderful Hubs only This Morning. I am in Awe of your knowledge and Wonderful Writing Style!! I am amazed the current Political and Business communities of the World, have not tried to communicate these plans? I feel that at this point of Human Strife, it would be tremendously helpful for another JFK "Man on the Moon", type goal for our dysfunctional World! I think that's right - some glass was found on Mars, so that could be volcanic glass and very pretty. Mars was very active at some point. It might be again. 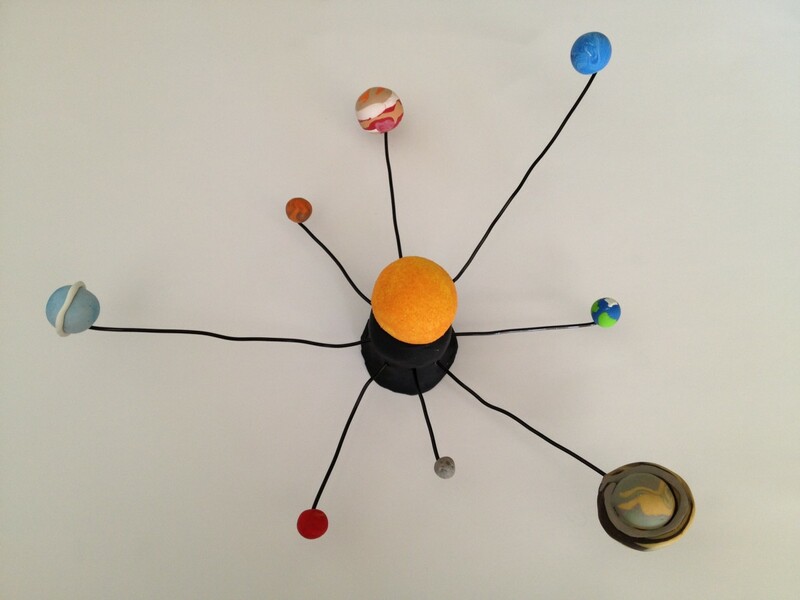 :) So happy you like the hub! Awesome article, Patty! This reminds me of something I heard a couple of weeks ago that I had totally forgotten. Something about glass had been found on Mars? Thanks for raising the awareness bar! They may do that yet. As you say - better to learn from lost payloads now than lost astronauts in future. Much of what you say is true. SpaceX, though, wants to ferry astronauts by early 2017.They may not be able to do so. The more we can learn about this now the less we'll have to the hard way! Many of them have the idea of unmanned mining probes feeding back to bases either on the Moon or in orbit making the habitats man needs in space. Maybe. Private Aerospace has not had any astronaut deaths yet, that I know of. SpaceX must secure more reliable missiles and spacecraft. It's disappointing. It seems governments have a better success rate with space flight than private industry. !! - I was incorrect - The SpaceX Dragon missile lost the supply vehicle and all the supplies, never arriving at the ISS today. We're about even with the Russians. These companies must solve the problems with these missiles. Yes, that is all true; I'm on the emailing list for SpaceX and Planetary Resources and received some data about this. - SpaceX has a much better track record than Russia right now I think, the last Russian supply ship having blown up. Another SpaceX ship arrived at the ISS this afternoon. That Soyuz would suffocate people on the way to Mars over 4 months' time (4 months from Kazakhstan, 6 months from Florida lift off) -- with three people inside, there is no room to move. SpaceX ships have more room, a larger crew compartment, and if we take off from the Alaska spaceport, we can make it to Moon and Mars in the same time as Soyuz. Plus a few companies just east of Columbus OH are developing reusable craft and parts for them and an education/training facility for aerospace operations and flight just opened over there. Wright Patterson AFB in the other direction increased spacecraft R & D and mfg. and companies in the state have a multimillion dollar drone manufacturing contract already. I cannot keep up with it all today! And the news about USA is much better covered in UK, Australia and NZ. I'd heard that one development in the last few years was the use of re-usable unmanned craft and one such is the drone craft used for re-supply of the ISS developed by the company owned by the guy who started paypal. His goal is to use the rockets for asteroid mining and so far they've been able to use the same rocket upto twenty times bringing costs down dramatically (last I heard it was 10% of shuttle missions and on par with Soyuz with the possibility of more cost saving without jeopardizing safety) so it could very well be profitable in the very near future. @Robert Sacchi - You bet! NASA formed its Commercial Crew of 63+ privately held aerospace companies before the last US Shuttle went up in July 2011. Now there are more partners. My state, Ohio, has 1,200 such companies and they are already making profit. The Russian Soyuz rocket will no longer be needed by the US for ISS missions as early as 2017. Great fun to see all this happen. This took me by complete surprise. It seemed NASA had given up interest in human space flight. Currently an American astronaut is a hitch hiker. Could these resources be brought back at a profit? Thank you for the Hub. @lawrence01 - It is all so exciting at this moment to think about the advancements to be made. Your daughter might one day combine medicine and spacecraft building, because some of the same engineers and technicians will be working in both fields at once. Some plans propose biological components for some spacecraft within the next several decades and I wish I could live another 100 years to see all this. Teams of explorers are going to need medical people and three four out of the eight NASA astronauts assigned to Mars are physicians with additional training - some double degrees. I hope your daughter enjoys academics! Buzz Aldrin has added Fine Arts to the STEM programs now. So much going on! It's a delight to spread the news! I've heard of HE 3 in a documentary before but then heard nothing for years so I thought it was one of those April fools pranks, now it could be true! My daughter (14 years old) has always wanted to be in the medical world but recently WETA workshops re-made the 1960's TV series Thunderbirds (I think its corny but she loves it) now she wants to build spacecraft (the fact you need a doctorate in physics, maths and engineering hasn't computed yet) so reading this hub would be great for her. Thank you for keeping us upto date with what's happening in this area. Bob, you bring up a good point. Yes, what about this extra mass? One possibility is that companies will go out onto the asteroids and the moon to process the ore, but then the moon would become more massive. Would we release the waste products into space? We have a lot of space trash already up there. What if we bring back water and the ocean levels rise even more than they are now? I think you have smart questions! I have to think about the question of orbit. Enough change and the climate might change a lot. Could be tricky. Very interesting Patty, it is fascinating to read of things like you are siting here. I remember science fiction looking seriously at such things and people laughing such people out of the room. But now it isn't fiction anymore. The Bible did say it would be this way with knowledge of man becoming great and people being to move places very fast. You get no faster than teleportation. But I have always wondered something and been too ashamed to ask since it probably is nothing to consider: If we go and bring vast ores and things from some body in space, won't it increase the mass of earth and therefore our orbit? I voted up and interesting. Bob. @sgbrown - I think there is not enough media coverage about these events on the websites and print media that people read most often. I hope it increases. Thanks for your comment! @firstday and @Thelma Roberts - Thanks for comments! It's all a surprise to most people, but reading about the NASA spinoffs, I think the inventions and services invented through the space program make the Moon and Mars missions worthwhile. Medications, better surgeries, better ways of growing food (not with Monsanto seeds) and 100s of other emerging things are creating jobs for those poor people and creating food sources for the starving. For example, space age drones for Search & Rescue missions and delivering medicines to nearly inaccessible villages are being manufactured in Ohio to bring in Billions of $ of revenues and 1000s of new jobs. OMG! I´m gobsmocked about this news. I have not heard about these plans. It seems cool but I don´t think plenty of people will be interested to live there. I wonder how much money will it costs. Money which is better use for helping poor people who are struggling so hard to live. Thanks for the informations. Voted this up and useful. Well done! @drbj - The progress is hard to believe, is it not? I suppose much of America is busy watching the pop-news stories and I think there is less interest than in the 1960s. By the time we had the Shuttles, a number of people perhaps took them for granted. Then we had the ultras-interested, like Chris Hadfield, who began astronaut training on his own in elementary school by not eating junk food. Still, I think more people need to know that we are going to the moon. @Ericdierker - Thank for reading this article! Much is happening in aerospace but we seem to have not much notification and some of the announcements are perhaps too technically oriented. This progress is astounding! I had no idea of all these plans! This is very interesting and has really opened my eyes. I think this is very exciting, but I would not be one that would want to do the traveling! @RonElFran - I think you are correct about the profit motivation. I wish I could see what the progress will be in 100 years. @mckbirdbks - I think you told me that before. Some of his books are hard to put down, once started. Hello Patty, I am a life long Robert A. Heinlein reader. So, I have visited. In my younger life an expedition of this nature would have fascinated me. @Fitnezzjim - You may be right at that. I look at the schematics of new ships and am stunned. Meanwhile, I hear the Boeing Dreamliner takes off nearly straight up vertically. I remember the difference between take off of aircraft I rode in 1986 and 1999 and how startled I was at the reduction in length of runway needed to become airborne. Mind blowing! @mckbirdbks - I often have temporary dyslexia-insanity...too much time on a project and it happens; lol. Isn't it ironic that while we/our govt plan to be the major persona on Moon and Mars, that so many other nations are putting settlement plans into place? I hear that the EU moon base suggested has turned into an EU Village. Perhaps they read "Red Mars" and saw the possibility of such fictional villages as a reality. It could happen. Would you like to visit there? I might. Thanks for this jaw-dropping update and information regarding future lunar stations and moon habitats. Who knew? Not me, sad to say. Really cool stuff, thanks for sharing it in such an understandable fashion. You're right about a lack of publicity - I wasn't aware of any NASA plans to go back to the moon, and certainly not by 2018. But I hope it happens. I think that the privatization of space vehicle design and construction is great for space exploration. The profit motive will take us further than government budgets ever could! It's just a matter of time before we send up a Starship Enterprise. It seems the best and the brightest are well into their far reaching plans to colonize the space. Incredible when you think about it for awhile. Here we cannot agree on much of anything, yet you are saying the Russians and Chinese have moon station plans. What an interesting and complex subject filled with all that is beautiful about people and potentially all that is wrong.